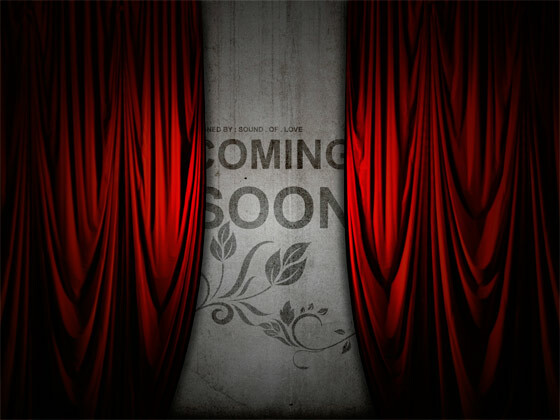 You may not think of a “Coming Soon” landing page as much of a target for improving conversion rates. Wrong. Just a year ago, startups like Hipster gained 10,000 subscribers virtually overnight without ever revealing their purpose. Brilliant foodie and social app Forkly had to put in a few late nights to create a viral invitation and social sharing form after a TechCrunch article highlighted their up-and-coming product. Since then, startups have hopefully learned the lesson that they, too, can unexpectedly be thrust into the spotlight – and it’s best to be prepared. Now the question is – are you? Here are five ways you can not only help spread the word about your launch, but reel in the kinds of customers you want to reach. You (generally) only have limited screen space in which to convince people to sign up. That means your most important benefits need to be above the fold (the first 1/3rd to 1/2 of the user’s screen space). The simpler and more direct the design and call-to-action are, the more likely you’ll entice visitors to take that action. 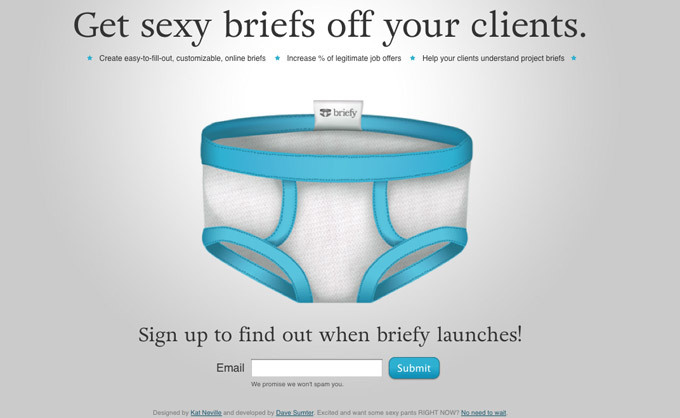 I think just about anyone who sees the screenshot for Briefly (below) will remember the giant pair of underwear staring them in the face. Briefly provides three succinct bullet-point benefits that are easy to scan and promise time-saving benefits. In addition to its unconventional attention-getting graphic, Briefy also fits everything into one screen space, so there’s no need to scroll. It also posts its three most important benefits right below the main statement for easy reading. Signing up for notifications only requires an email address, which presents less of a barrier to cautious subscribers who are worried about spam. 2. How Soon is Coming Soon? It’s no longer enough just to tell visitors that you’ll “add them to the notification list” when you launch. In this “always-on” day and age, we have on-demand expectations. Even if you’re not 100% certain when you’ll launch, giving users an approximate timeframe, such as Summer or even a countdown will help keep them interested. In Forkly’s case above, they even went so far as to detail their progress on their Tumblr blog, including how they had to quickly create a viral sharing script after the early deluge of traffic. They’ve even posted a visual graph and their conversion stats a few months after this blog entry to let readers know how well it worked. Not only are you helping to keep customers “in the loop” while you’re putting the finishing touches on your new project, but you’re also building your subscriber list exponentially. For those early adopters who don’t want to wait, simply sharing an invite with three or more friends can instantly propel them to the front of the line. And early adopters are pivotal people to reach – particularly if your product has a tech slant. 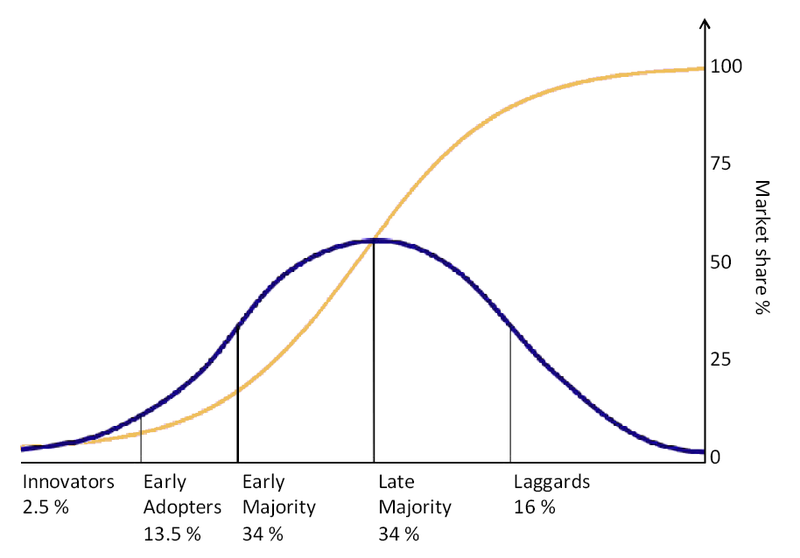 The Diffusion of Ideas shows that the Early Adopters and Early Majority are what any good project needs to help get it over a “hump” of resistance. 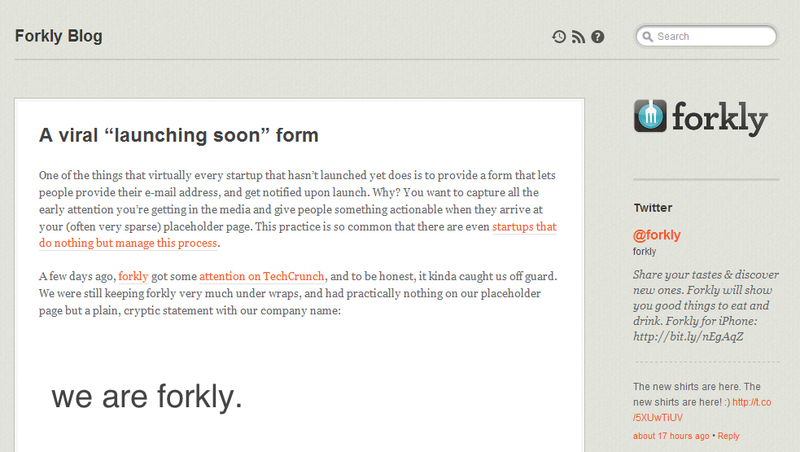 Forkly did a great job adding in a social touch with their Private Beta launch. But then they went a step further by allowing people to jump to the front of the virtual line by inviting three of their friends. On top of that, the more they invited, the sooner they could start using the app. Put your own twist on this idea. Can you give subscribers who share your invite link a behind-the-scenes look at the “making of” your launch? Even better – what can they contribute to it while it’s still in the early stages? A brilliant example of this is in the book Viral Loop. Not only can you read about companies that employ this same kind of strategy – you can also contribute to their stories. Some Coming Soon landing pages try to persuade you to share by making it into a contest. However, this can get costly depending on the types of products you’re awarding the winners (think something like an iPad 2 if you really want to build up steam). Using the Viral Loop method is inexpensive and hints at the early adopters’ deep-rooted need to “be the first”. A win-win for everyone. Using the Viral Loop method is inexpensive and hints at the early adopters’ deep-rooted need to “be the first”: A win-win for everyone. These are the vocal people who can be either evangelists or critics of your product, and you need both in order to succeed. Once you’ve got their name and email address – what’s the next step? If you haven’t thought this through, you won’t be able to spur many people into action after signup. A well-written autoresponder can take over here by encouraging the subscriber community to get involved. Ask for their feedback as you develop your product. Find out what they like and hate about competing products on the market. You may get some excellent suggestions and features worth incorporating. 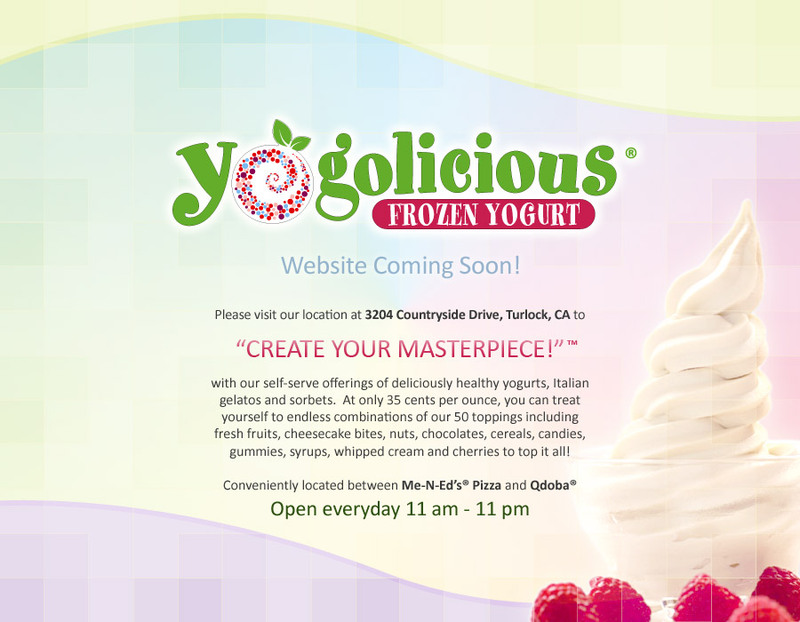 Yogolicious’ website may be coming soon, but you can still create a masterpiece now at your local store. 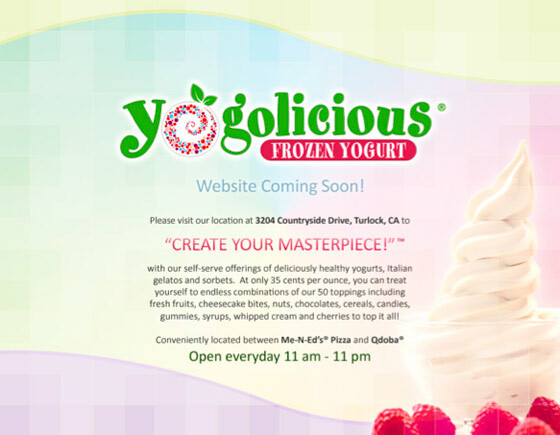 You can get directions to your nearest Yogolicious by using their Coming Soon page. But this page could likely perform even better if they allowed people to sign up for special offers by email, such as a free coupon, or notification of their next donation/yogurt social. Why are you launching this new product or service? People want to connect with the brains behind the enterprise, and chances are, your mission or goal will –in some small part- become theirs too. Thank them for taking the time to sign up, and introduce them to your virtual world. Being secretive and stealthy will only make people reluctant and discourage sign-ups (no matter how cool it may look). 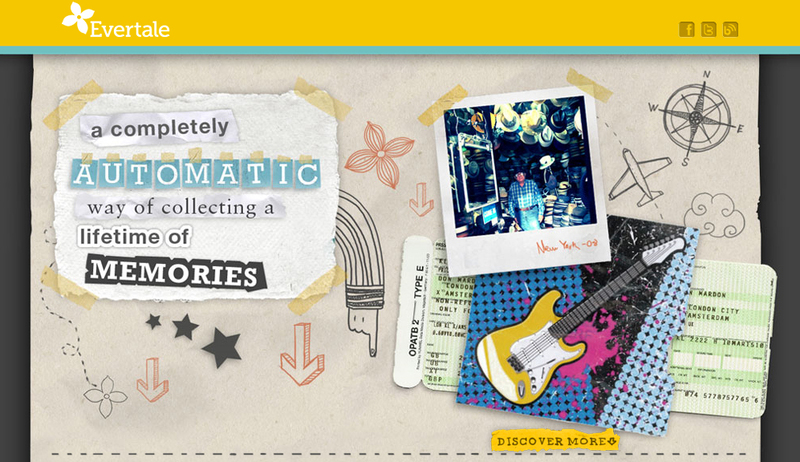 Social cataloguing app Evertale did a mesmerizing job of this with their Coming Soon landing page, which took readers on a short, whirlwind tale about capturing and reliving daily memories. It was exciting, motivating and inspiring – just as it should be. When put together, short benefits, a launch timeframe, an injection of personality and a rewarding way to share and stay informed create the ultimate formula for a landing page that not only compels you to act, but also gets you enthusiastic about the brand and its future. Sherice Jacob helps business owners improve their websites through conversion rate optimization, user-friendly website design and compelling copywriting. Learn more at iElectrify.com and grab your free web copy tune-up and conversion optimization checklist while you’re there!